The popularity of hoverboards is growing at a rapid pace with the industry set to exceed $1.8 billion by 2021. If you are one of the new fans of these devices, you’ll need to master a few simple tricks to learn how to balance on a hoverboard. Bear in mind that you need to not only keep the right balance to operate this device, but also take the necessary steps to ensure your safety. Before you start balancing, you need to know that a hoverboard must be ‘prepared’ to hold your weight. These gadgets have a light indicator (usually near the charge port). It should turn green after you put one foot onto the device. Only after that you should put the other foot on. If the light doesn’t turn from red to green, reset the board and try again. In case the problem persists after several turn-on/turn-off attempts and the board is fully charged, contact the store as your device is most likely defective. 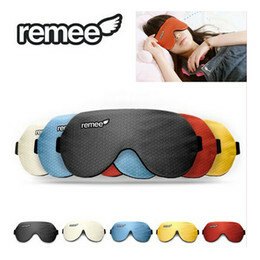 As the popularity of the gadgets has grown so fast, a great number of manufacturers flooded the market with them. The risk of buying faulty or low-quality pieces is very high today. To reduce these risks you should not only research the technical specifications of the gadget but also find the best hoverboard review site. Study detailed reviews from experts to understand the strengths and weaknesses of every model. Before you learn how to balance on a hoverboard you’ll need some support. That’s why it’s essential to make your first attempts while something to hold onto is within an easy reach. Try practicing next to a rail or at least a wall. You also need to ensure your personal safety by wearing protective gear. Over 16% of people aware of hoverboards claim that they wouldn’t buy the device because of safety concerns. However, those are comparable to all other rideables, like roller skates or skateboards. Hoverboards might seem to have a higher incidence of injury simply because their riders aren’t using any protective gear, as proves the study published in the Western Journal of Emergency Medicine. Wearing a helmet is most important as only one of the people from the study mentioned above did it, while head injuries accounted for over 20% of the total. 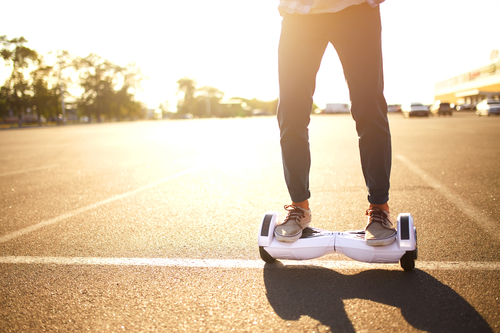 Placing your feet as close as possible to the sides of the hoverboard will help keep your balance more easily. Still, be sure to hold onto something during your first attempts until you manage to regain your balance. This will get easier with practice. Most importantly, don’t overthink every movement as doubting yourself might lead to involuntary movements that will unbalance you. Keep your feet wide and knees bent a little to ease the maneuvering. Do not forget that the board is designed to balance you out. It might wobble at first, but when you relax and find your center of gravity, it will work to keep you stable. You need to master standing on a board without wobbling before you try movement. Once you are totally in control of your personal balance, lead forward or backward carefully to practice moving in a straight line. Work near a wall until you find the ‘safe angle’ of leaning that won’t tip you over. Keeping the knees bent will help stay more stable and break faster if you start going too fast. The trickiest part of learning how to balance on a hoverboard is turning. You shouldn’t lean to the side, as you do when moving forward or backward. Instead, you need to keep one leg stable while moving the other forward. Imagine you are trying to make a step with the board attached. Bear in mind that turning is rather easy, but if you aren’t careful, you might start spinning and lose control. To get off a hoverboard safely you need to always step backward one foot at a time. Do your best to keep the other foot as stable as possible so you don’t move the board and fall by accident. Learning how to balance on a hoverboard will be much easier when you are good at balance in general. Try performing some balancing yoga exercises to develop this ability.